Virgin Islands Party Candidate for the Fourth District, JoAnn Roxie Romney told a large gathering during her launch on 21 May, that her opponent (Minister, Mark Vanterpool) made promises that were not kept. She announced that her vision of the Fourth District is one that is properly equipped with adequate infrastructures, is commercially driven, and ready to proudly represent the Capital of the Virgin Islands. 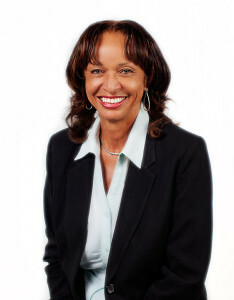 The Virgin Islands Party candidate announced that her first task, once elected, would be to repair and renovate neglected infrastructures. This first task she said will be supplemented with needed upgrades and extensions. “The NDP will say that you have Peebles Hospital and Crafts Alive, but what about other places in Road Town such as Lower Estate, the Softball Field, and the Festival Grounds which all desperately need work in order to bring uniformity and harmony to the Capital? What about upgrading Road Town Band Stand? The Band Stand area is not completed and we are committed to do the job so that families and community groups can be encouraged to attend or promote concerts and other cultural events,” she announced.